Dolly Parton’s husband of 49 years, Carl Dean, is set to join his famous wife onstage for the first time ever! This is supposedly going to happen at their 50th wedding anniversary party on May 30, 2016. Along with the party, will be a ceremony for the happy couple to renew their vows. Dean has famously stayed out of the spotlight, rarely having his pictures taken, never doing any interviews, and reportedly he has only attended one of his wife’s many shows over the last five decades. There have only been 20 pictures published of the two together. 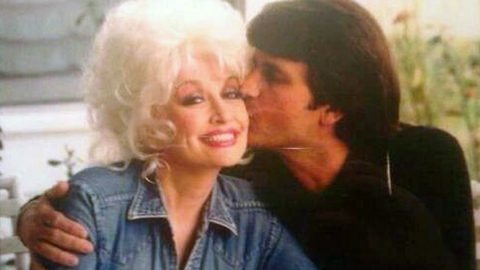 Parton and Dean met just a few days after she left home for Nashville to pursue a music career, and have been together ever since! She has talked about how different she is on stage and at home. We can’t wait until next May when the world finally gets to meet Carl Dean! Until then, take a look at a slideshow of Dolly and Carl together, with Parton sings her 2001 song “Marry Me” in the background.